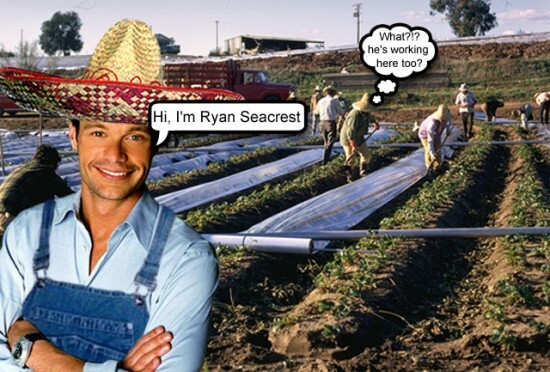 sirevil classic: awhile back I made a joke about Ryan Seacrest stealing all the jobs, at the time I think he had like 4 of them. I also remember people complaining about mexicans that come to the US stealing jobs, and I found that lame because many of them that come in the US might end up as field workers and other jobs no one wants. so I figured why not have him stealing jobs from them to.